Your baby's sleeping safely and securely is as important to us as it is to you. That’s why all our cots must withstand the toughest safety tests in the world. 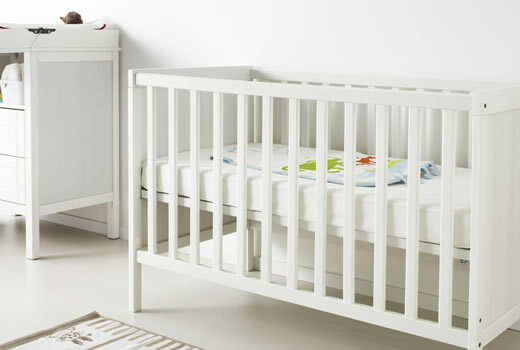 The distance between the slats, the non-toxic and durable materials, the rounded shapes and bed bases with good ventilation give your baby a pleasant sleeping climate. While planning your baby's room, take a look at our buying guide where you can find SUNDVIK Series and more.